This is one of the best quotes that I have ever read! This shows how the future is up for grabs in the present time and what we do ultimately is what drives how the future will be. If we step back and predict the future, we have to rely on too many factors, especially if we are not one of the driving forces of change either in our lives or in the world around us. Sometimes it is best to force the future to be the way we want it. We all have in us the ability to create a live that can change the world around us. 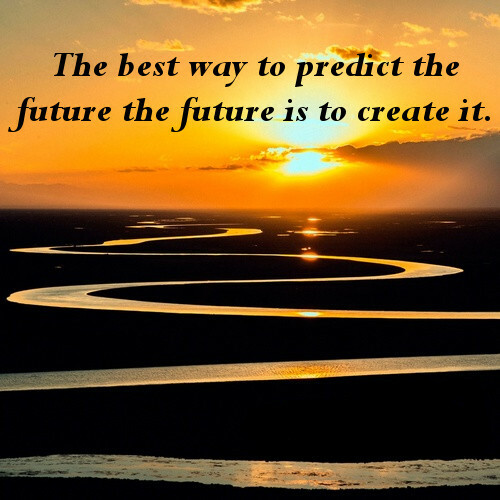 So instead of predicting the future we should also strive to create it, but make sure to create it in such a way that the whole world and natural environment can benefit from!